What do people crave in a smartphone? High quality without breaking the bank, with the bells and whistles that make for a premium device and experience. But do you get that on your phone? Why do you have to compromise to get that great looking phone that doesn’t perform or that one outstanding feature while everything else lets you down? Uncompromising on style, performance and premium experiences with our fifth-generation Moto G5 Plus, the first smartphone with a head-turning, metal design that seems as excellent as it performs. The Moto G5 Plus flaunts a combination of advanced features and premium design. Fast processors, great battery life, fast charging, fingerprint reader, and excellent camera highlights all covered up in one device at an affordable price. A fantastic combination, because differently is better. Replace the old phones now with the first ever Moto G series phone that boasts a premium looking durable metal casing in a high-grade aluminium finish. 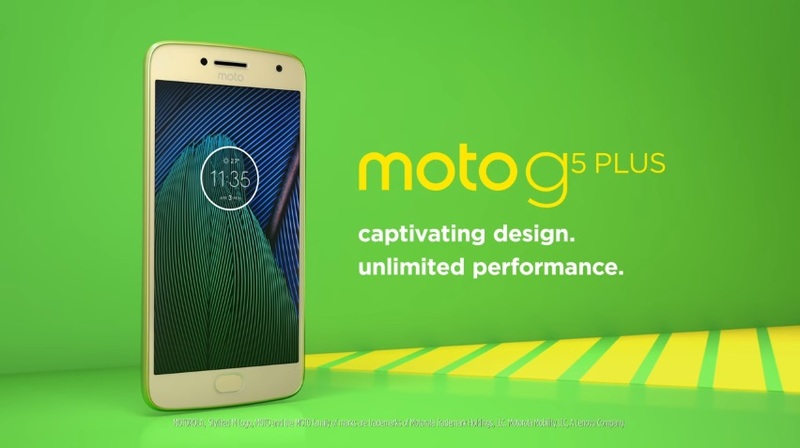 The new 2017 Moto G5 Plus design language is inspired by the premium Moto Z family and comes with a high-grade aluminium finish that’s been crystal cut and bead-blasted to perfection. The device comes with a 13.2cm (5.2) screen in full HD with 1080p and Corning® Gorilla® Glass 3. 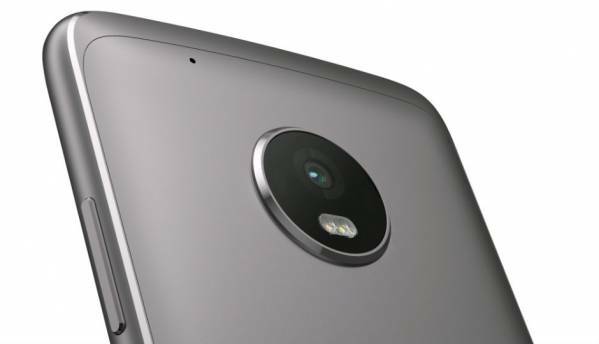 Moto G5 Plus will bring out the photographer in you by granting you the most advanced camera. Emphasising a flagship level camera sensor with Dual Autofocus Pixels, the Moto G5 Plus allows you to lock onto your target in the blink of an eye, so you never miss a shot. This 12 MP camera with a circular Saturn ring design takes beautiful photos even on dark, cloudy days. The large aperture f/1.7 and bigger pixels combine to let in up to 25% more light than the previous generation Moto G4 Plus. Moto G5 Plus comes with the landscaping mode which allows the user to enhance selfies by smoothing the skin to reduce scars or wrinkles. Perfect photographs ruined by people with closed eyes? The camera software in Moto G Plus includes our signature “Best Shot” feature which captures various shots before and after the screen is touched, analysing the issues like blurred subjects or blinking eyes, before suggesting the best image to keep. Further, the camera also features the expert mode allows adjustment of various aspects like focus, white balance, shutter, ISO & exposure coverage making it a treat for photography lovers. You would want your device to be a one stop shop for all your needs. Ensuring speed allows you to run various apps is important. The Moto G5 Plus runs on Qualcomm® Snapdragon™ 625 processor with a 2.0 GHz octa-core CPU, 650 MHz Adreno 506 GPU ensuring the content runs efficiently. With an all-day** 3,000 mAh battery, you can go from a whole day without the need to charge. When it’s time to charge, never slow down and fuel up fast with TurboPower™ charging — up to six hours of battery life in just 15 minutes**. Rest assured that Moto G5 Plus can keep up with your busiest days. Maintaining the information on your phone secure is vital but remembering PINs and passwords can be a strain. With the Moto G5 Plus, there will be no trouble of regularly changing pins and passwords for privacy and having to memorise a new one every time. Moto G5 Plus fingerprint reader makes it so much more handy to keep your content safe. Also, motions and gestures can be used to activate features giving its immense consumer ease of use. Moto G5 Plus also combines Moto Actions and a new experience: One Button Nav, which lets you quickly navigate through screens using the fingerprint reader. Moto G5 Plus is NFC enabled, so you’ll be able to use it to make mobile payments where it supports. At participating stores, all you’ll need to do is keep your phone near an NFC terminal and use your fingerprint. It’s fast and easy—and there’s no need to carry cards or cash. Moto G5 Plus is exclusive at Flipkart at INR 14,999 for for 3GB RAM+ 16GB Storage and INR 16,999 for 4GB RAM + 32GB storage configurations.